The bad (either intentionally or unintentionally) UI of skillpages.com has caused me quite a bit of personal embarrassment today. I usually let web services have a peek into my gmail contacts as an easy way of knowing if anybody I know is using the service I am interested in. I NEVER let the web service email everybody I have in my contacts. What sane person today would even consider such a thing? Today exactly that happened. 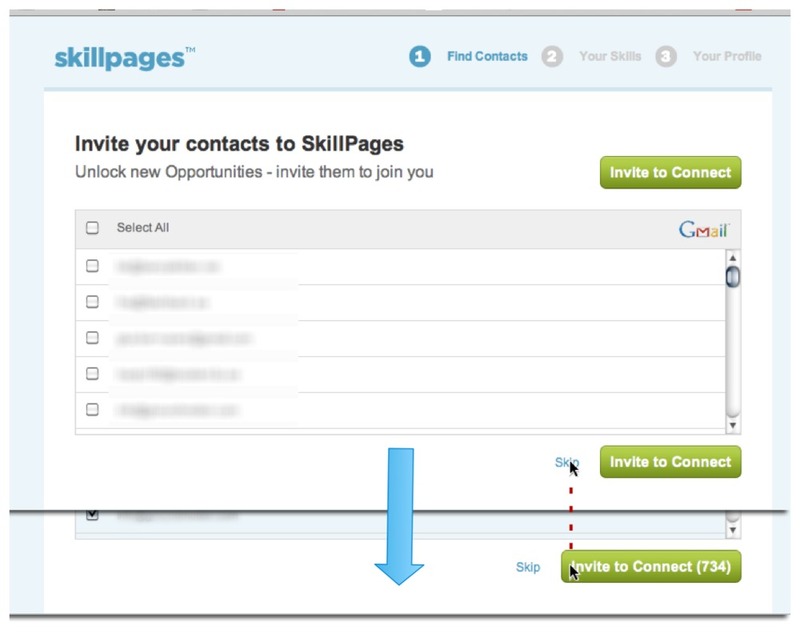 The UI/Marketing team at skillpages failed epically in my eyes for two reasons. Allowing the “Skip” button to move. Automatically selecting all my contacts at the invite screen. Here is a plea to the internet: Do not use skillpages. Tell everybody you know not to use skillpages. Perhaps then this epic fail will never happen again.